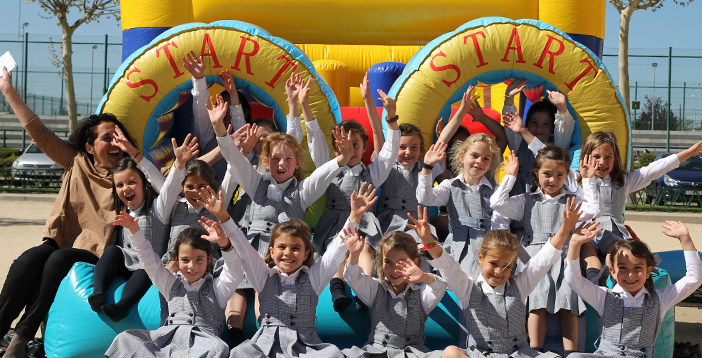 In Mater Salvatoris School we accompany each student from her early years through adolescence, until the admission to the University, supporting her in each of the different stages of the growth and maturation process. Each development stage prepares and influences the next. The Pre-school years are crucial for our students’ lives, where they build the foundation for further learning, development of behavior, good habits, fine and gross motor development, skills, interests, and strategies, for their future. During this early stage, with the assistance and guidance of the teachers as facilitators, students start to make connections, relating concepts, and developing global thinking. It is a very important moment to assess, take action and reinforce different learning and affective areas that each student may need. For this, we will work with speech specialists and other learning professionals. Elementary years are fundamental for the cognitive, social and emotional development of the students. Step by step, we help our students to develop structural and logical thinking, and to establish the habits that they began to learn in the previous stage, becoming autonomous and responsible learners. In Mater Salvatoris we foster in students the practice of the virtues needed for both individual and teamwork: learn to study, to comprehend, to create, to relate transversally different concepts and subjects, to memorize, to be steady, to persevere, to listen and talk, to share and respect, to collaborate, to resolve situations, to work with care, precision, effort and neatness. This environment helps them to grow in self-confidence, critical thinking, personal initiative, interest in learning further, logic and creativity. These are years where the personality is shaped, deserving all the attention, dedication, and efforts from their families and the school community to accompany them in this continuous and fascinating process of life. During the adolescent stage there is an important affective and neurological development in students, that will affect their personalities and capacities. The priority of the school community is to accompany them to help them to develop higher-level thinking skills, strengthen their affective capacity, be responsible and assume responsibilities and the consequences of their decisions and actions, develop critical thinking to be able to make the right and appropriate decisions. All of this prepares them for acceptance into the best colleges and universities, and to discover their talents and skills to put them at the service of the Church and the society. We acknowledge that these years are not always the easiest. It is important that our students know and feel accompanied in this stage of growth, in a safe and caring environment, with all the support they may need. This enables students to learn and develop the ability to deal with the challenges that they meet and confront as adolescents, while preparing them for their future and whatever that may hold for them. High School is the time to sow the seed of what has gradually been planted at home and in the school, with love and patience: an educated, Catholic woman prepared to meet and confront the challenges that she might face and encounter in her everyday life, provided with the tools to be champion of her own life.